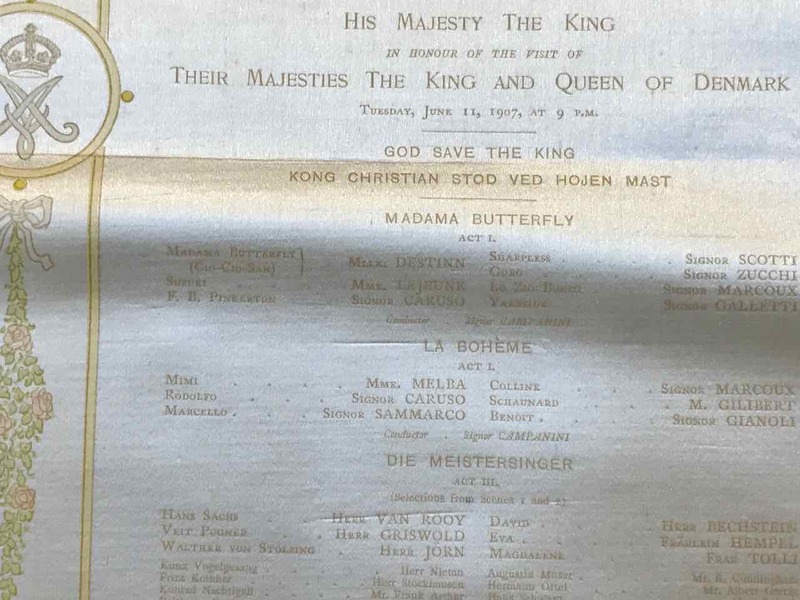 Royal Opera Programme for a Gala Performance at Covent Garden by Command of His Majesty The King. In honour of the visit of the King and Queen of Denmark, performed on Tuesday June 11, 1907 at 9 p.m. Featuring performances of: Madame Butterfly, La Boheme, and Die Meistersinger. Featuring: Nellie Melba, Signor Caruso and others. With Conductors: Signor Campanini and Dr. Hans Richter. Musical Director: Mr Percy Pitt. Acting Manager: Mr Percy Eales. 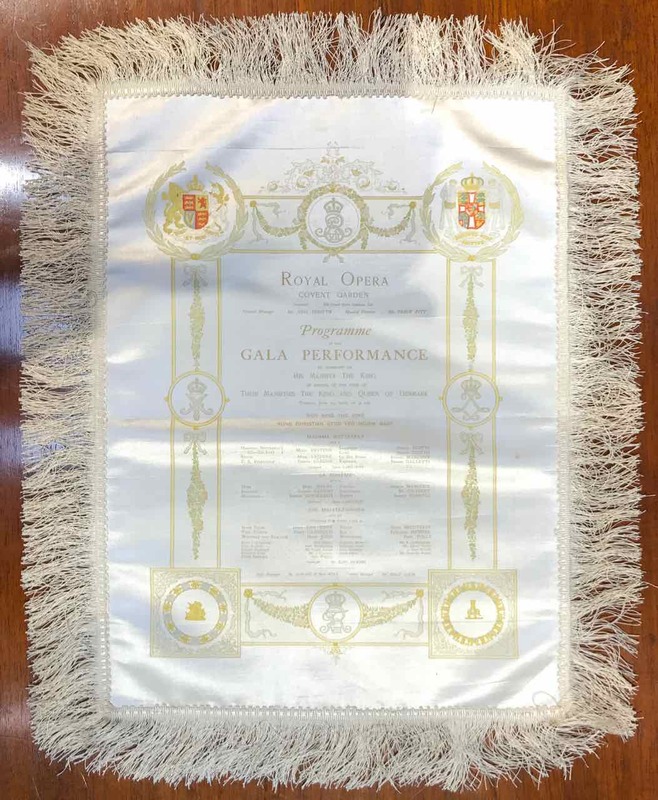 The programme is printed on silk, with a silk brocade fringe and is in very fine condition.